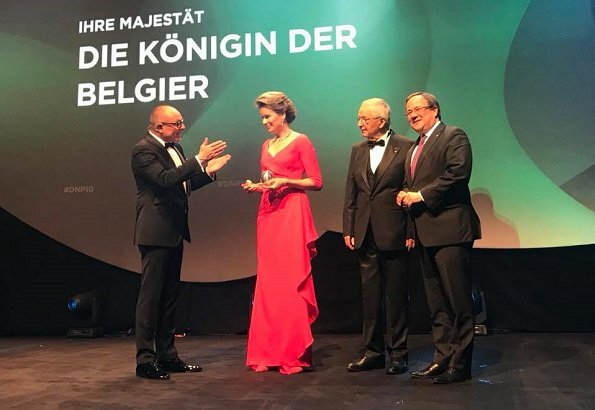 Queen Mathilde of Belgium received the 'German Sustainability Award' with a ceremony held at the Maritim Hotel on December 8, 2017 in Düsseldorf, Germany. 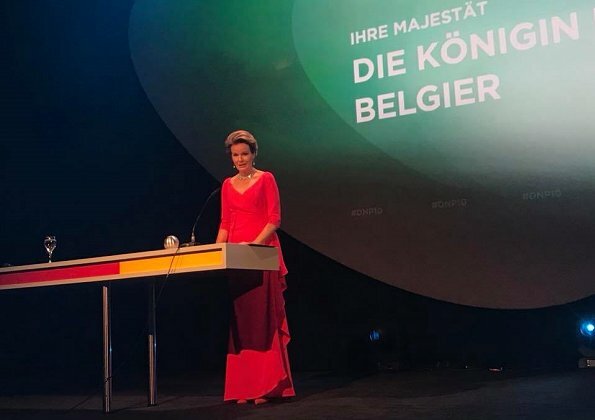 In her speech at the ceremony, Queen Mathilde said that "investment in development, means investment in people and when talking about sustainability, we must put people at the center of our concerns and our efforts to leave no one behind." 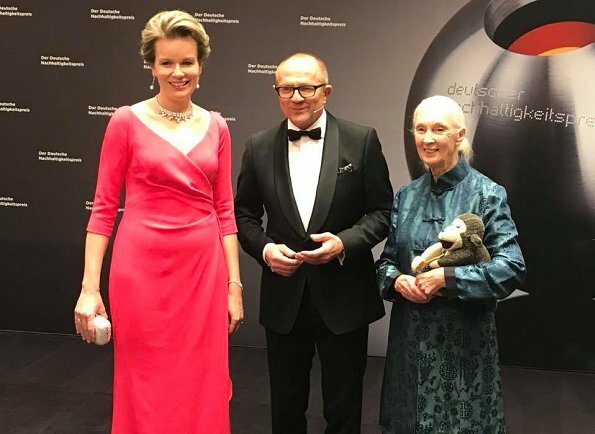 The German Sustainability Award was established in 2008 to encourage the acceptance of social and ecological responsibility and to identify role models in this area. I'm thinking that different colored shows would work better. For some reason, because the shoes match the dress, her dress appears too long. She looks regal though. She's so tall. Very pretty with nice, soft styling. Great news on the award. Stunning, gracious and progressive ideas. 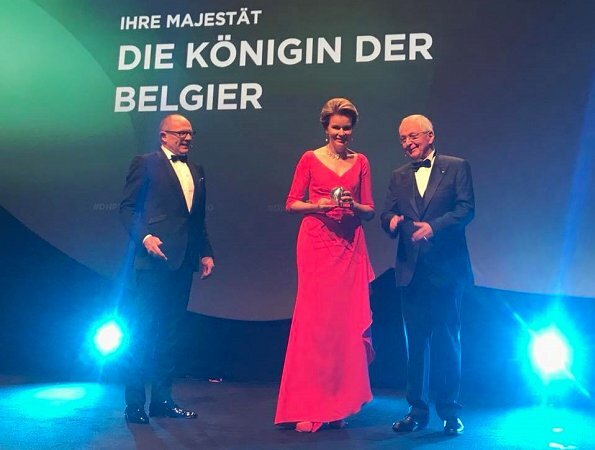 Perfect queen.She looked charming and appropiate. One of Mathilde's better looks. I am not generally a fan of Mathilde's fashion, although I adore her persona. She looks fantastic with this dress, perfect for her body type and fabulous color. Lovely! !